Happy Monday! 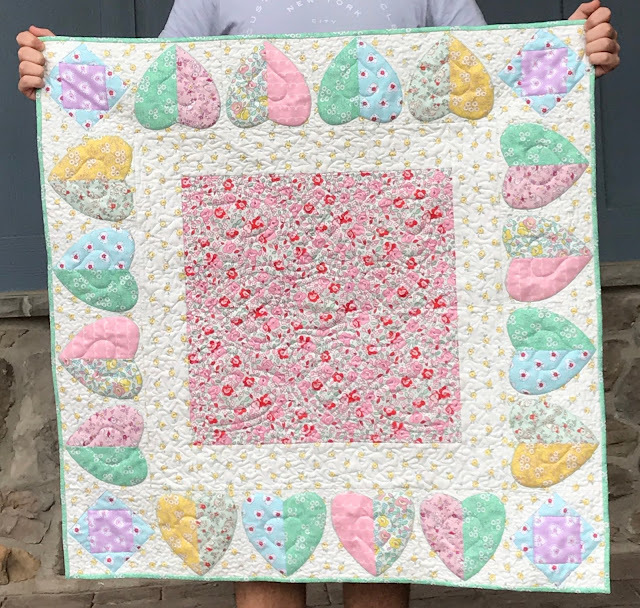 Here is a quick note to remind you to join me tomorrow for a Facebook Live tutorial when I will show you how I made the hearts featured on my pattern In My Heart. 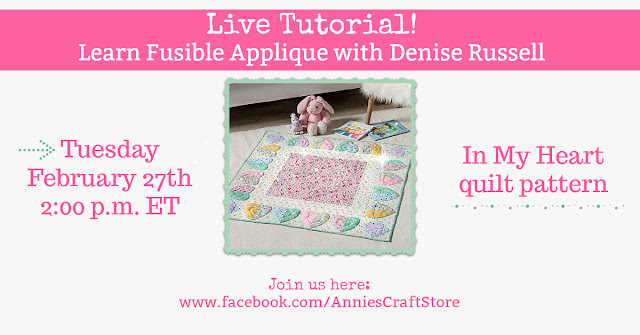 It will happen at 12 noon MST or 2 pm EST at Annie's Craft Store Facebook page. The hearts look and feel very soft because they are! Get the scoop and see how your fusible applique' motifs can turn out just as soft. 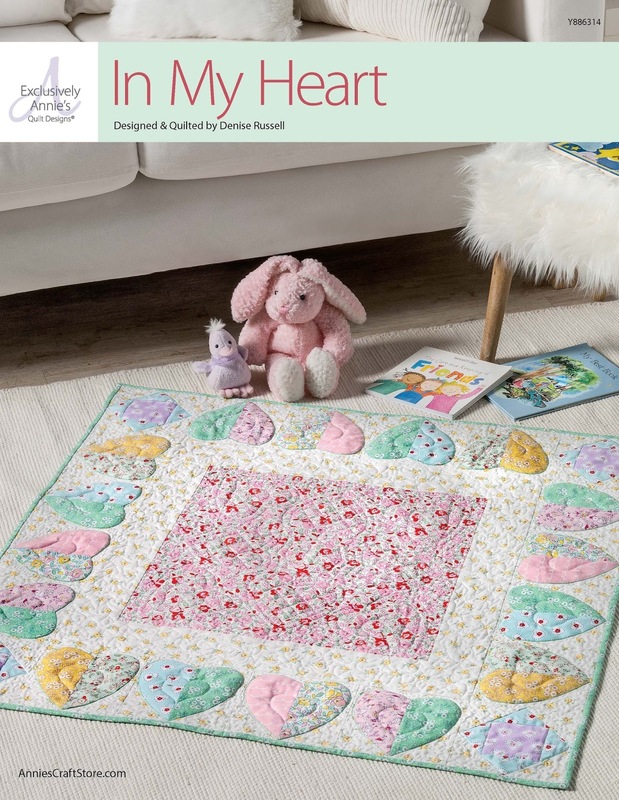 In My Heart is a cute and fast quilt project, perfect for the baby to play on and a lovely gift for a baby who is about to arrive. You can find the pattern at Annies Craft Store where you can choose to download it or to receive a printed copy. Dommage que ce soit sur Facebook car c'est un sujet qui m'intéressez. Je ne fais effectivement partie d'aucun réseau social et je trouve personnellement dommage que beaucoup de blogueuses se tournent vers ces réseaux au détriment des blogs. Do not worry. I usually save the videos and post them to YouTube. I will let you know when it is available, although this tutorial will happen in a company's page. If I cannot repost, I will create a similar video and upload it to my YouTube channel, again letting you know. Have a great day.